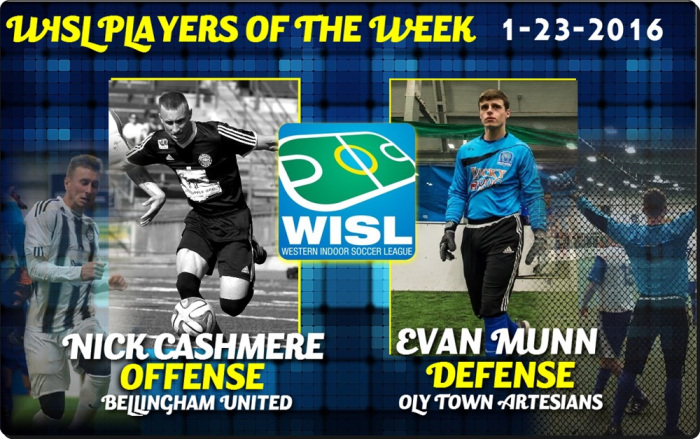 OLYMPIA, Wash. – For the second time this season, the Western Indoor Soccer League has named Oly Town Artesians goalkeeper Evan Munn Defensive Player of the Week. 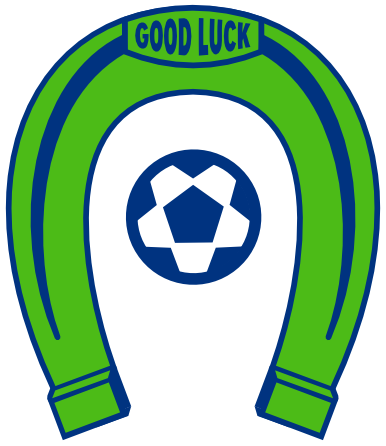 The 19 year-old Olympia native made an astounding 27 saves and kept the Artesians close for most of the game in a 6-2 loss to the high powered, first place Olympic Force. 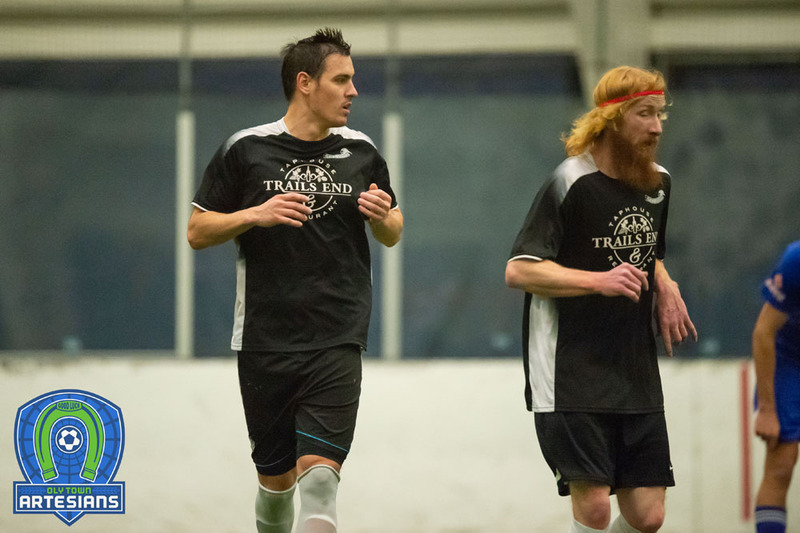 Munn, an Olympia High School graduate who led Tacoma Community College to the semifinals of the NWAC men’s soccer tournament in November, is in his first season of indoor soccer. He sports a 6.82 goals against average in eight games despite playing behind an injury-addled Artesians lineup that has struggled with consistency. This is the second Defensive Player of the Week award for Munn. 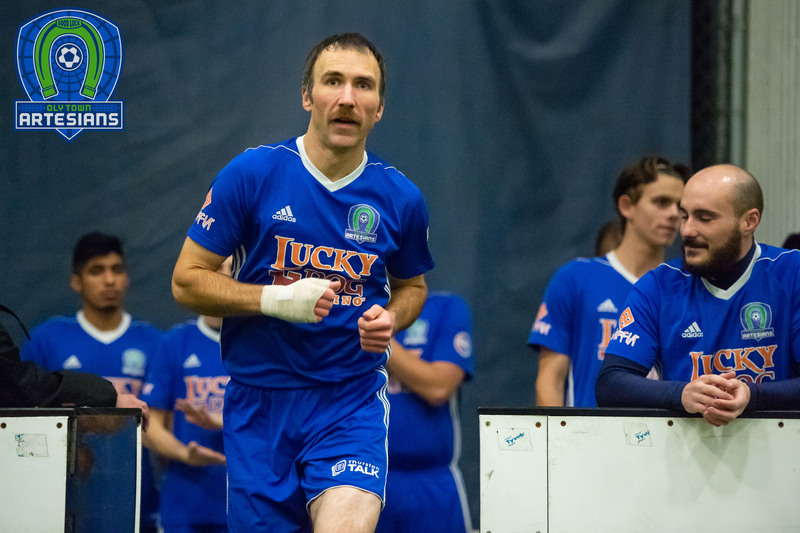 The WISL honored him following his second career indoor soccer start on December 5th when he held the Vancouver Victory to just three goals keeping the Artesians close enough to make a thrilling fourth quarter comeback and take home a 4-3 win. 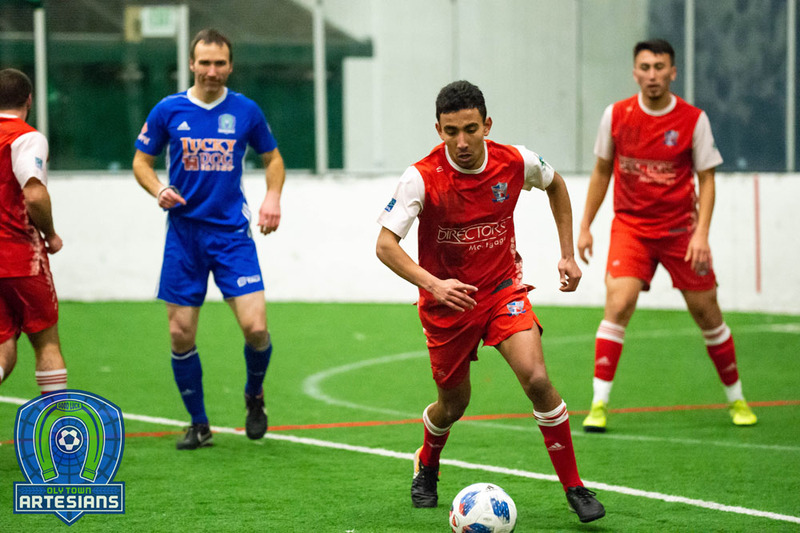 Munn and the Artesians get this weekend off but will return to the cozy confines of The Pavilion at Evergreen where they will face the Vancouver Victory on Saturday, February 6th in the first of two home games to close out the 2015-2016 season. First kick is set for 6:00 PM. Next Article Order Your Artesians Scarf Today!